If you follow style blogs in Canada you’re very familiar with The Style Spy. Founded by the lovely (seriously, she’s a doll) and talented Erica Lam, it chronicles fashion trends, features interviews with industry insiders and highlights “Girls of the Week” (one of whom you might recognize). 1. I recently moved to Montreal and this is my current set-up at the apartment I’m subletting. I must confess, I’m typically messier than this, but moving cross-country has forced me to streamline. It’s a good feeling not to have piles and piles of stuff sitting on your desk. 2. There’s usually a rotation of magazines – it’s either fashion magazines like the ones you see or business magazines like Fast Company or INC.
3. 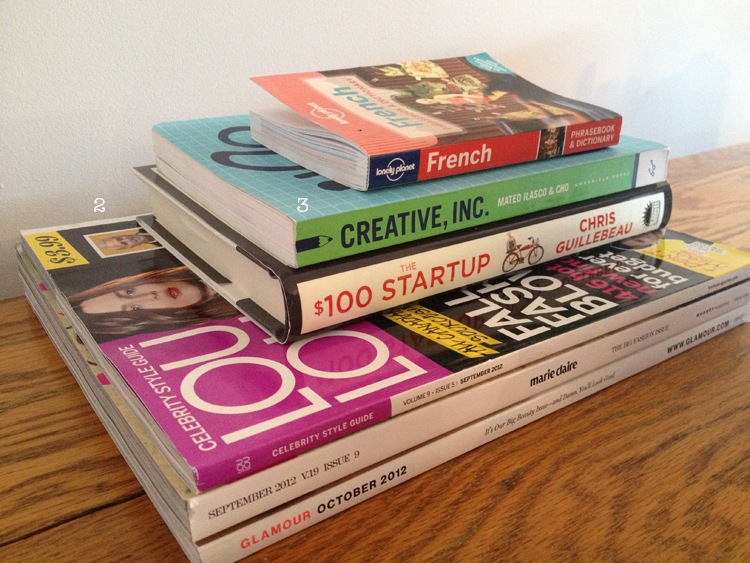 The book Creative, Inc. is a guide to running a freelance business. It was actually recommended to me by The Anthology’s Kelsey herself [Glad you like it! – Kelsey]. I left my advertising agency job as a social media strategist in Vancouver and am now working with clients on a freelance basis. 4. 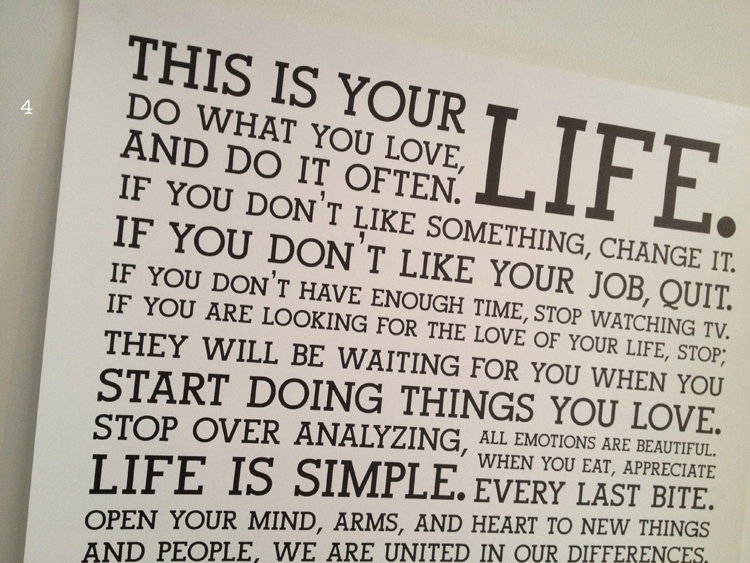 The Holstee Manifesto poster sits right above my desk. It’s a great daily reminder to really go after what you want in life. 5. 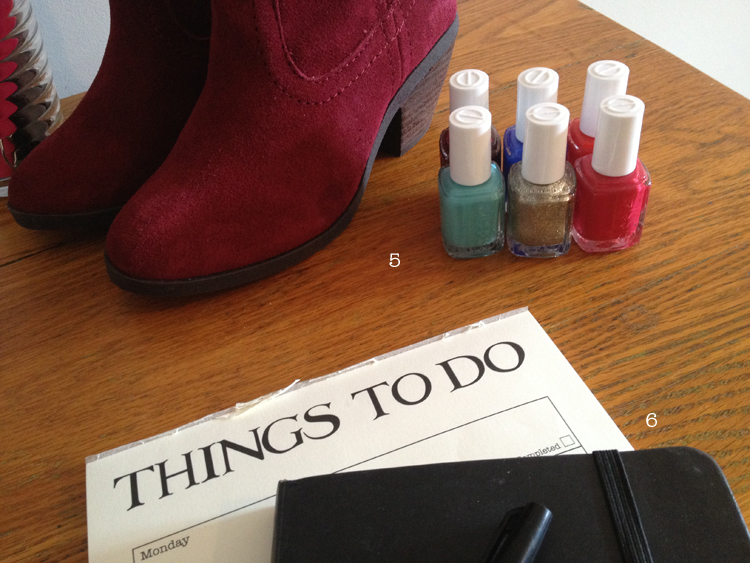 Brands regularly send over products for me to try, the red suede booties are from Call It Spring’s fall collection and the nail polishes are from Essie’s winter line. 6. Don’t you love checking stuff off lists? I do. Hence the weekly things to do notepad from Chapters. I always have a Moleskine notebook next to me where I jot down all my ideas. 7. Attending events and networking are part of the job. The invitation on the desk is to Aldo Shoes’ 4oth anniversary, they’re hosting special pop-up exhibit at the Aldo Flagship store in Montreal. P.S. 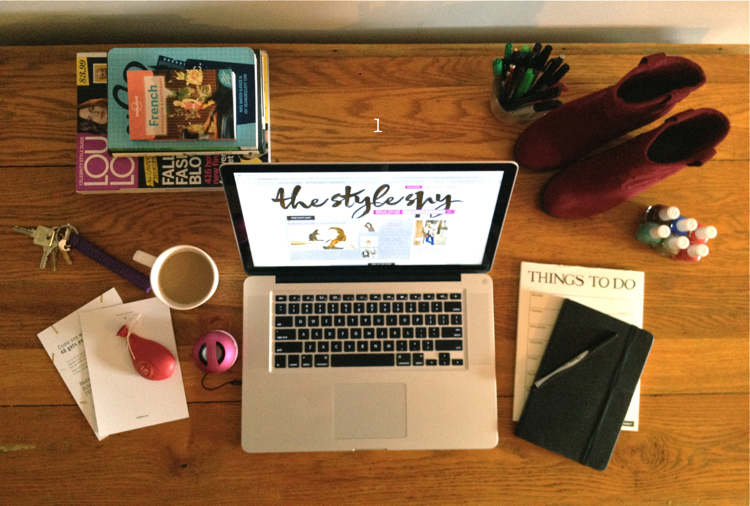 Click your way to The Style Spy to see the fruits of Erica’s workspace. P.P.S. Check out the first post in The Anthology’s Workspace column and find out how Niki Blasina of A Haute Mess smells when she blogs. Click through the second post to find out where Anya Georgijevic of I’m the It Girl started her footwear obsession. Find out how Kumiko Ide of Tribal DDB keeps her workspace fresh to death. 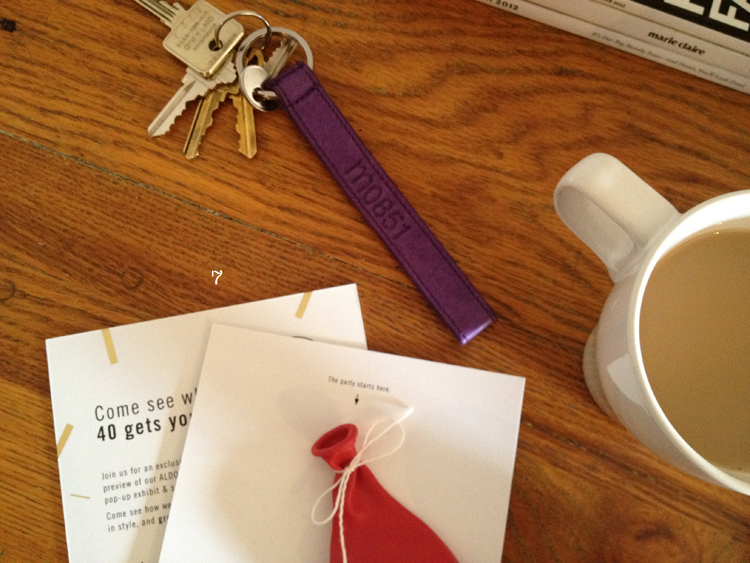 Take a look at jewelry designer Justine Brooks’ works in progress and her favourite places to work very, very remotely. Take a look at Lisa Wong of Solo Lisa’s cat-decorated desk and Anna Cohen’s converted stable in Denmark. And Alicia Quan’s yellow suitcase desk storage is definitely an idea worth stealing. Bahaha! That’s exactly the reason I haven’t yet photographed my own workspace — it’s a disaster! Isn’t it lovely? Makes me want to return to Montreal. Love that city.